Holi – The Festival Of Colors celebrated in every part of India has its significance in term of its history and rituals, It signifies victory of good over evil as stated in the various religious literature. India is full of mysteries whether we talk about our festivals, Ruins of India, Ancient India Philosophies etc. Each and every festival of India has its own significance, If we talk about Holi, Its all about celebration of overcoming your fears or transformation of negativities to positivities in life, whether it’s repairing broken relationships, Victory Of Good Over Evil, End Of Winter season over arrival of spring, Play and laugh, Forget and forgive etc. Holi has derived from the demon king Hiranyakashyap’s sister ”Holika”. Hiranyakashyap had a blessing from the Lord Vishnu that he won’t get killed by any animal or human being and he wants everyone to worship him rather than any other god which made him angry because of his own son ”Prahlad” worship Lord Vishnu knowingly of his father wants him to be worshipped. Holika, Then made Prahlad sit with her in a fire in order to hurt him, Whereas she put blanket around herself in order to protect herself from fire, Fortunately, blanket flew over to Prahlad and Holika got burnt alive, That is why we celebrate Holika Dahan – Victory of good over evil – a night before Holi. Afterwards, Lord Vishnu came to earth in form of half lion (Animal) and half man (Human being), Killed Demon King Hiranyakashyap. HINDUISM – In Braj Region where Lord Krishna is grown, Holi is being celebrated as Rangpanchmi on this day in memory of the divine love of Radha for Krishna. 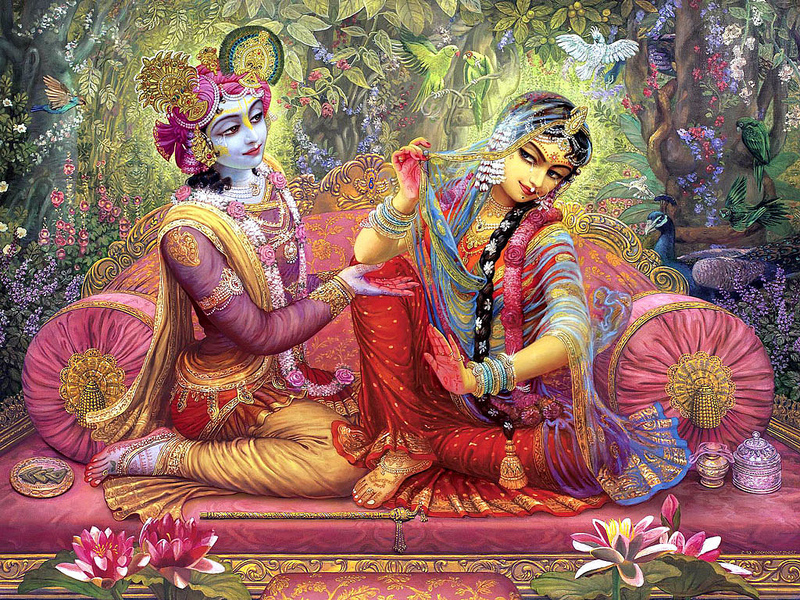 Krishna developed his dark blue colored skin due to poisoned breast milk feed by Putana who fallen in love with fair-skinned Radha and other girls love him because of his dark blue color skin, Therefore coloring of Radha’s face on this day of love celebrated as Holi. 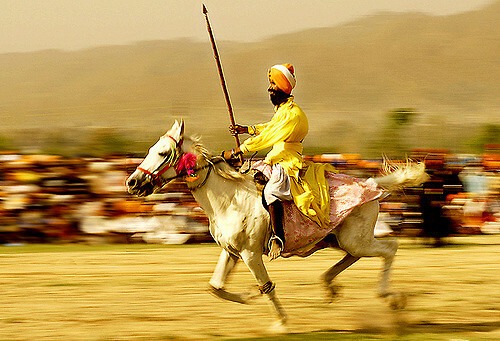 SIKHISM – In 19 Century, 10th Sikh Guru ”Guru Gobind Singh” Modified Holi as Hola Mohalla which is a three-day festival of martial arts a day after Holi in Aandpur Sahib, Punjab, Where Sikh’s perform the various military exercise, mock battles etc. Holi was also observed by Raja Ranjit Singh’s Sikh empire in northern parts of India-Pakistan, Lahore, It is believed that 300 Pounds of Colors being used by Raja Ranjit Singh in his empire on occasion Holi in 1837. You have provided great information. Thanks for the story of Holi. It remembers me the Hindus Mythology.